1. A sturdy duffel bag perfect for gym, work trips, or weekend getaways. Get it from Hook and Albert for $195. 2. A BottleKeeper — a stainless steel container that keeps your pop's beer bottle ice cold and protected from falls. Simply slip the bottle in through the bottom then screw on the bottom. There's a bottle opener in the cap — beer drinking suddenly got even more portable. Try giving dad a special edition design that says, "it's 5 o'clock somewhere," or "the thirst is real." Get it from BottleKeeper for $34.99 (available in seven colors; also see cool stickers to add-on). 3. A scratch-off poster to encourage your dad to try new things. Each poster has 100 essential things that can be scratched off when completed. There are four types: movies, books, albums, and places to travel. Get it from Amazon for $14.73+. 4. A bottle of spicy honey your dad can seriously put on everything. You better bee-lieve it! See more cheap things to treat your dad. 5. 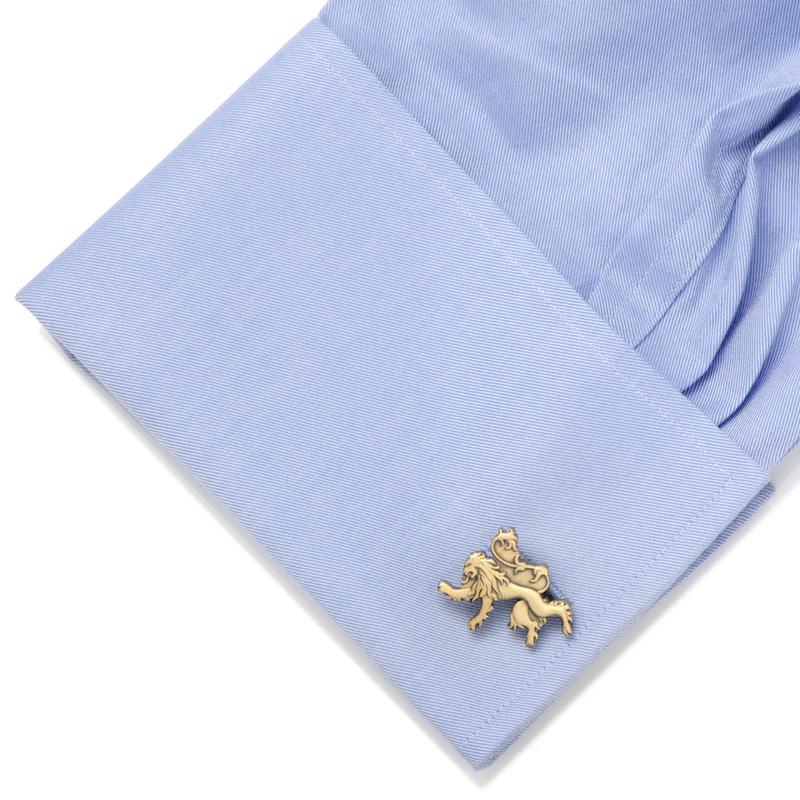 A Hand of the King pin lapel or Lannister lion cufflinks because competing with your siblings can feel like its own version of Game of Thrones. 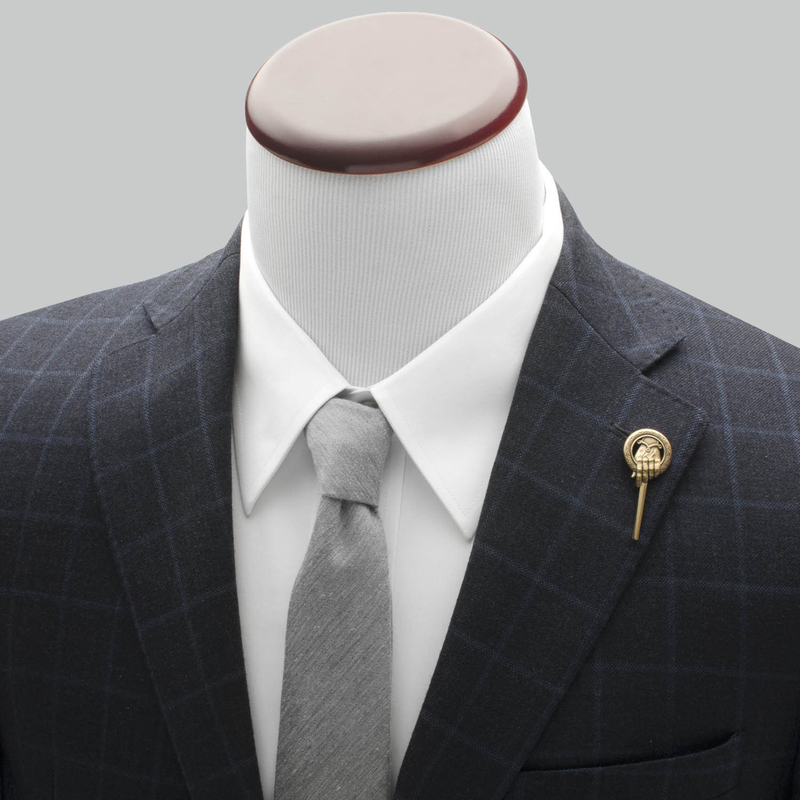 Get the lapel pin for $18 and the cufflinks for $65 from Cufflinks. See more Game of Thrones accessories. 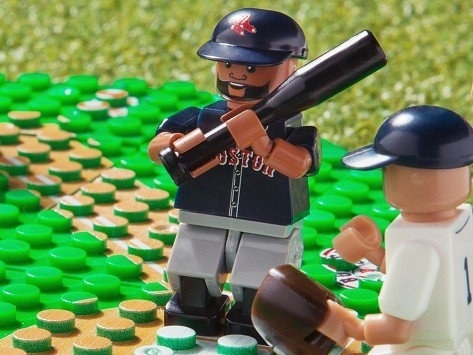 Get 15% off sitewide with the code FATHERSDAY. 6. A solitary bee condo to bring bees to the backyard. Your dad's garden will be abuzz after installing this sustainable sourced home. Get it from Uncommon Goods for $40 or something similar from Amazon for $45.99. 7. A swanky double zip briefcase that will almost make your dad excited to go to work. Get it from Fossil for $298 (available in two colors). See even MORE gifts from Fossil that your pa will love. 8. Bombfell — an online styling service that'll turn your dad into a dapper dad. Because let's face it: That ancient "Life is Good" tee from Cape Cod has got to go. See BuzzFeed's full review of Bombfell. Get it from Bombfell for $20 plus anything your dad decides to keep. The more that's kept, the higher the discount applied. 9. A pair of glasses with digital screen protection to filter out blue light from phones, TVs, and tablets. Your dad will really appreciate these when he's working long hours at the office. Glasses with screen protection help make screen time more comfortable and prevent symptoms of digital eye strain like headaches and vision loss. Get it from Eye Buy Direct for $25+. Father's Day BOGO! Buy one pair of men's frames, get one free with the code POPS until 6/18. 10. An underwear subscription service that makes a basic gift way more exciting — he'll want to pounce on these! Get some from MeUndies for $16 per pair. 11. An entire drawer of clothing — Create-a-Drawer (at Basic Outfitters) lets you customize a whole drawer with socks, underwear, shirts, and a pair of sweatpants. This is perfect for the dad who has holes in all his socks. It's better to just throw it all away and start fresh sometimes, you know? 12. A golden pothos plant in a snazzy geometric planter for your dad's room or work space. Get it from Pro Flowers for $39.99 (add a pin for an extra $5). 13. A swanky electric toothbrush to give your dad an award-winning smile, even before he uses it. You know, 'cause he'll be happy to get it. Get it from Quip for $25+ (plastic) or $45+ (metal). Refill plans start at $5. 14. A whiskey and rum making kit that your dad will think is rumbelievably neat. Get the kit from Uncommon Goods for $75 or get a customizable barrel from Amazon for $59.95. 15. An essential Kiehl's grooming kit featuring plenty of items from the beloved "Facial Fuel" series. It comes with a cleanser, moisturizer, shaving cream, shampoo/conditioner, and body scrub bar. 16. A subscription box filled with all sorts of gardening goodies perfect for green-thumbed dads (or even just regular thumbed dads looking to get into growing). You can choose between a monthly live plant or bulb, or a monthly box of gardening tools and accessories. Get it from Cratejoy for $21.50+/month. Get $5 off your purchase with the code BUZZFEED. 17. A rocks glass featuring the map of his favorite city. Get it from Uncommon Goods for $16 (available in 24 cities). See more options on Etsy. 18. A marvel-ous tee that will make everyone ~green~ with envy. Get it from Uniqlo for $14.90 (available in sizes XXS–3XL). 19. A subscription to Candy Club — a sweet tooth's dream and a dentist's nightmare. Each box comes with three containers of sweets plus some loose candy. Get it from Candy Club for $22.99+/month. 20. 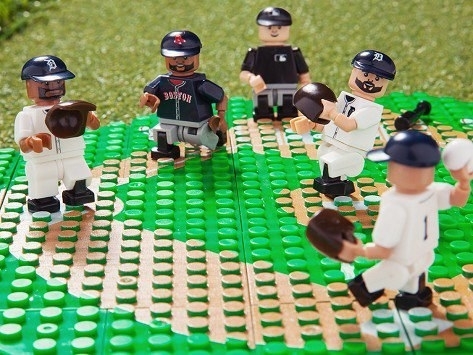 A set of Lego minifig baseball players so your dad can stop screaming at the television and start making his own calls. Get it from The Grommet for $20.97+ (available in 10 teams). 21. A Mighty Mug Ice with a special grippy bottom so your clumsy dad can stop knocking over his coffee all the time. When you put the mug down, it creates a suction so you can't accidentally knock it over. You can still pick it up with total ease. Get it from Mighty Mug for $16.99+ (available in four styles and many colors). 22. A carry-on cocktail kit for jet setting dads who demand better than an airplane bottle of vodka and tomato juice. Just add the needed liquids, and the kit provides the rest. Get it from Amazon for $13.99 (available in seven cocktails). 23. A multi-use skillet with room to cook a bunch of food at once, so you don't even have to wake up that early to surprise your dad with breakfast. Get it from Amazon for $47.69. 24. A pair of ice pop socks for your pop who might melt when he sees them. Get the ice pop socks from Say It With a Sock for $2.99 or get a subscription for $11.99/month. 25. 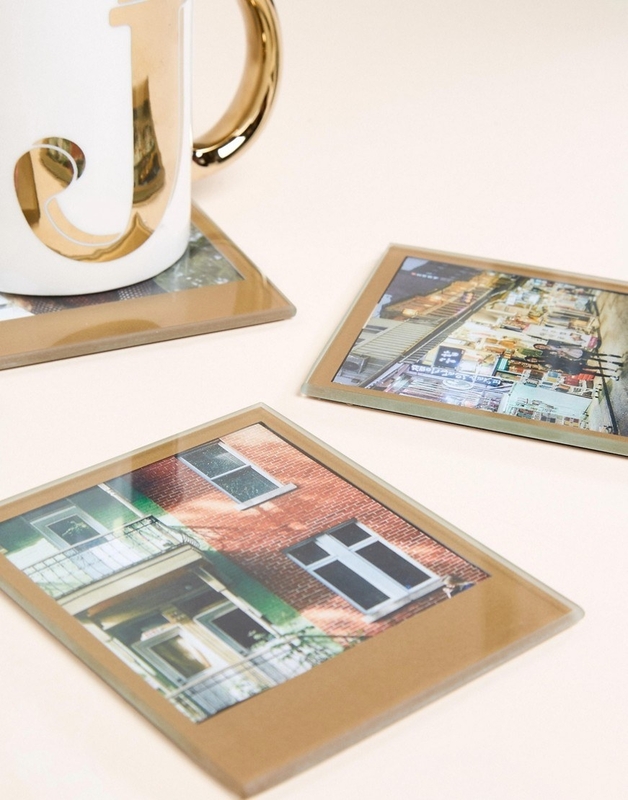 A ~snappy~ set of retro gold coasters you can fill with your own photos, even if you don't have a Polaroid camera. Get a pack of four from Asos for $19 or a pack of silver ones from Amazon for $12. 26. An Atlas Coffee Club subscription, so your father can feel well traveled while enjoying coffee from all over the world. Get it from Atlas Coffee Club for $60 for a three-month subscription, $109 for a six-month subscription, or $199 for a yearlong subscription. See more awesome subscription services for dad. 27. 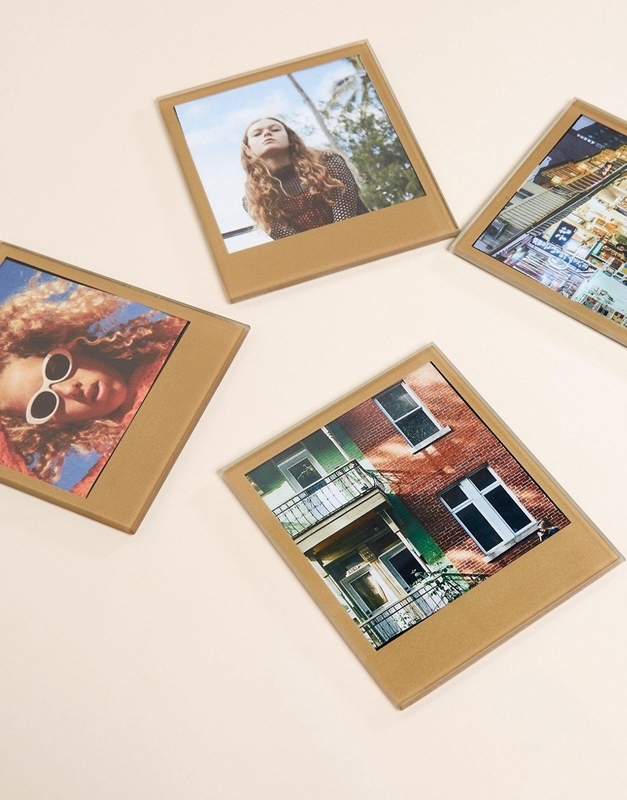 A smart photo frame you can load up with pictures of yourself to remind him who his favorite child is. It has motion and light sensors so it knows when to turn on and start the slideshow. See more amazing tech gifts your dad will geek out over. 28. A basket of gourmet snacks including truffle cookies, cheese straws, cashew roca, brie, mustard, and more. Your dad will have to thank you in between bites. Get it from Walmart for $44.99. 29. A tasty crate filled with exotic jerkies and meat sticks for the dad who watches Animal Planet and says "I'm hungry." The jerkies include: venison, Biltong beef, elk, buffalo, and alligator. The sticks include: pheasant, maple duck, ostrich, and alligator. Get it from Man Crates for $99.99. 30. A box of Harry & David's legendary chocolate covered fruit for your very sweet dad. This one time my dad got me a bag of Harry & David's chocolate covered blueberries for Christmas and then proceeded to eat them all himself. Does my dad love these candies more than me? Just don't make him choose. This box comes with dark and milk chocolate cherries, milk chocolate blueberries, and milk chocolate apricots. Get a one-pound box from Harry & David for $39.99. 31. A bottle opener made from genuine baseball bats used in major league games to make up for all the baseballs he didn't catch at a game. Get it from Uncommon Goods for $115+ (available in thirty teams). 32. A record frame so your dad can show off all his favorite Springsteen albums. Get it from Amazon for $16.99+ (available in two colors and two sizes). Pair this with a vinyl subscription from Vinyl Me, Please for only $27 a record! 33. A pair of matching tees proving that the pepperoni doesn't fall far from the pizza. Get them from Xenotees on Etsy for $49.99 (available in adult sizes M–2XL and onesie/kid sizes). 34. A customizable book that asks you about all the things you love about your dad — this is so much more thoughtful than just filling out a card! Get it from Amazon for $10.40 or Walmart for $9.54. 35. A card game like Exploding Kittens or Obama Llama so the whole family will have something to do after dinner. 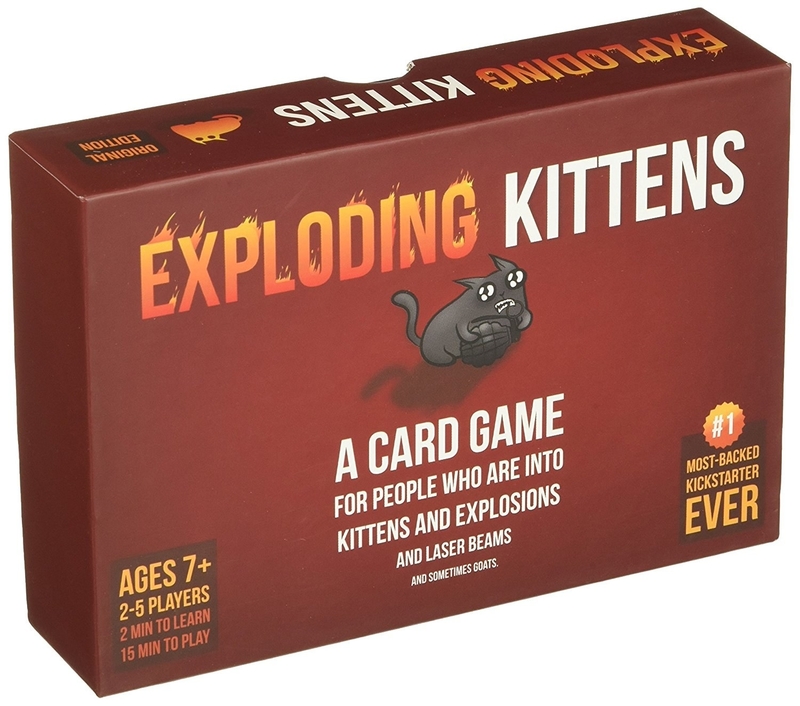 The basic goal of Exploding Kittens is to avoid the "exploding kitten" cards, because they will knock you out of the game. Each player has a handful of cards. The players will go around in a circle drawing cards until everyone has been knocked out except for the winner. Players have action cards, like "see the future" or "shuffle" that they can play before taking a card to make things more interesting. 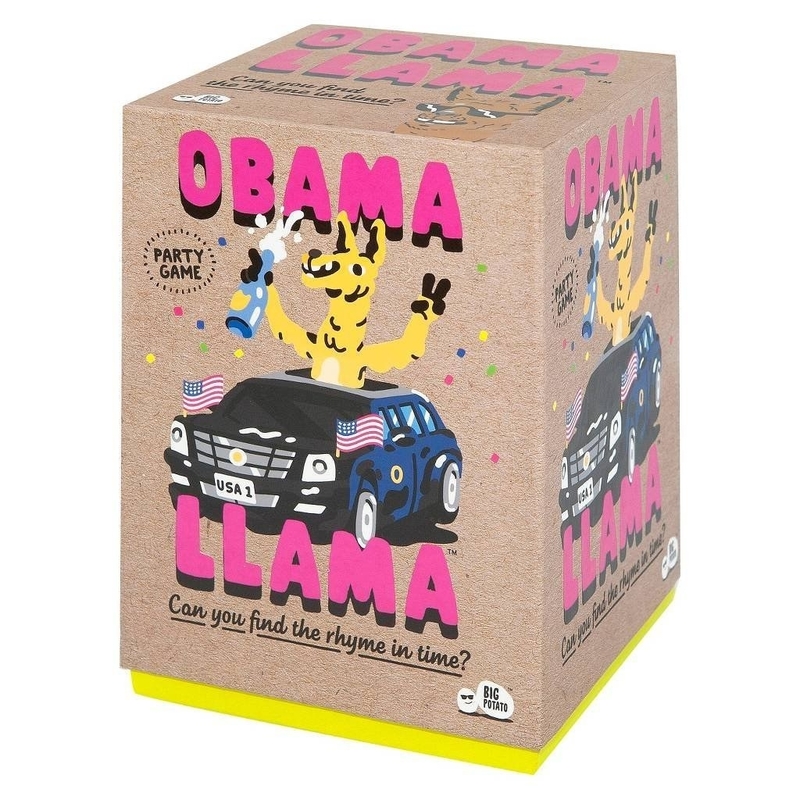 To play Obama Llama, players will get a rhyming prompt and will try to get their teammates to guess it without using the words on the card. It's like Taboo but with way more rhyming and cute illustrations. Get Exploding Kittens from Amazon for $20 or Obama Llama from Amazon for $9.79 or Walmart for $14.99. 36. A French press with a bamboo handle for the dad who won't even acknowledge you until 12 pm. Win the best gifter award and pair this French press with individual bags of ground coffee. Get it from Amazon for $14.97+ (available in two finishes). 37. And a mug to pour his coffee in, complete with a proper dad joke. 38. A gift set with a bottle of wine and plenty of caramel popcorn to make movie night even sweeter. It comes with a red blend wine and four bags of caramel popcorn: Kentucky bourbon black pepper, vanilla bean cocoa nib, honey graham, and fiori and salt. Get it from Winc for $50. P.S. you could also get your dad a Wine subscription for just $13 per bottle. 39. A whisky wedge mold that will turn his double old fashioned glass into a work of art. 40. A mini violin so your dad can actually play the world's tiniest violin the next time he's mocking you. 41. A beach mat far superior to any beach towel — it keeps the surface sand-free and dirt-free. Get it from Amazon for $45.73+ (available in sizes S–XL and two colors). 42. A smart light starter kit that connects to smart phones and tablets for the dad who is not made of money — so turn the damn lights off! This kit is easy to set up and allows the user to schedule lighting, dim lights, or turn off lights even when no one is home. It also works with Alexa or Siri! Get it from Amazon for $80.98. 43. A shaving brush that hooks onto most cans of shaving cream so your pop can apply an even coat in a single motion. That means more time for playing catch, grilling, gardening, or other dad activities. Get it from Legacy Shave on The Grommet for $19.95. 44. A baking set with Emoji cookie cutters your dad is gonna 😍 over. It comes with three baking sheets and four cookie cutters. Get it from the Tasty Collection on Walmart for $9.97. See more Father's Day gifts from Walmart. 45. An oversized game of "4-in-a-Row" so you can take down your old man in a big way. Get it from Amazon for $66.98. 46. A pair of super lightweight sneakers from Toms for your stylish on-the-go dad. Get them from Toms for $79.95 (available in sizes 7–14 and two colors) or in white from Amazon for $79.95 (available in sizes 7–13). 47. A girolle so your foodie father can turn his legendary cheese plates into the best type of bouquet — an edible one! This knife cuts cheese so thin, it turns each slice into a little flower! It works best with Tete De Moine. Get it from Amazon for $32.17. 48. A "Guy Set" filled with lots of goodies your pop will love. It comes with Cremo shaving cream, S.W. Basics cream, a candle, coffee-scented soap, deodorant cream, socks, and a bear hug card. Get it from Of a Kind for $99. 49. 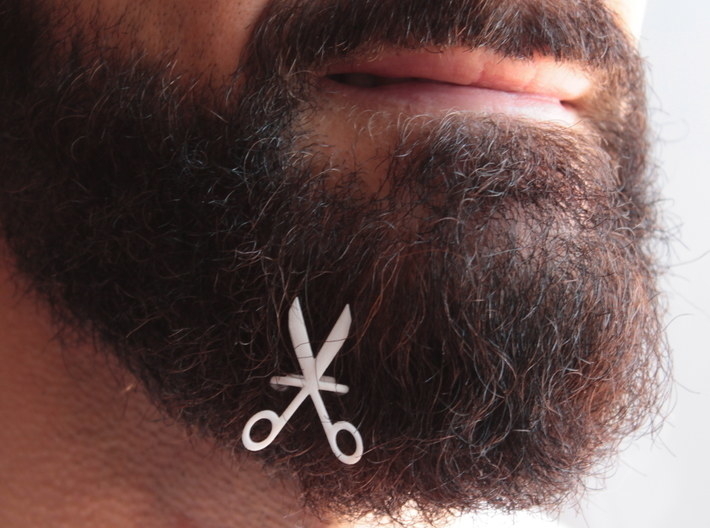 A beard charm or two for the dad who doesn't take his facial hair too seriously. 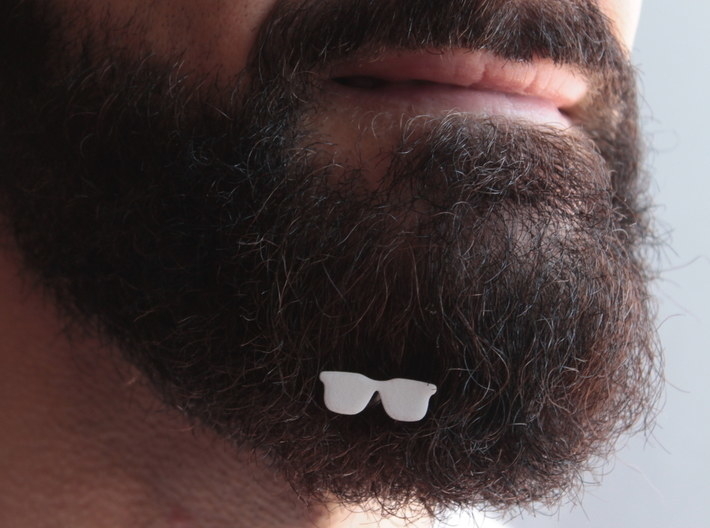 Get it from Shapeways for $5 (available in 20 shapes). 50. A swanky, Great Gatsby-esque box of candies inspired by all of dad's favorite vices. It comes with martini olive almonds, stout pint gummies, maple bourbon caramels, bourbon bears, mint chocolate caviar, Cuba libre gummies, brown butter brittle, and chocolate bacon pretzels. You can choose between standard or non-alcoholic. 51. A compact key holder to turn his bundle of keys into a sleek, manageable gadget similar to a Swiss army knife. Or get him an upgraded one with an outdoor bundle that includes a knife, flashlight, and multi-tool. Get it from Amazon for $19.99 (available in three colors, inserts sold separately). See more awesome gifts for your outdoorsy dad. 52. And a pair of wireless headphones so he can drown out the kids this holiday and get some dad time. Get it from Amazon for $34.99+.